The staff were very friendly with easy check-in and check-out. The lift was being repaired, but they offered to help with my luggage if needed. I had a studio with a small kitchen, sitting area, and large bed. The fridge had complimentary bread, milk, jam, and chocolate. The studio also included small but great amenities including robes, shampoo, conditioner, etc. Although a little more than I wanted to spend, the price was reasonable given the large size of the studio. The location is also perfect- right in the center but close walk to the train station. I would definitely stay here again. Apartment was quiet, very clean and comfortable. Everything worked! Useful supply of complimentary food and drink. Bit surprised to see radiators rather than aircon in the apartment-might be an issue in hot weather. Location was excellent. Close to restaurants and shopping. Fabulous location, good standard of furnishing, and a welcome pack in the fridge. 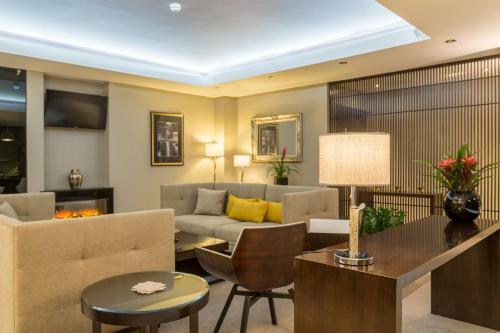 Lock in a great price for Mansio Suites The Headrow – rated 9.2 by recent guests! 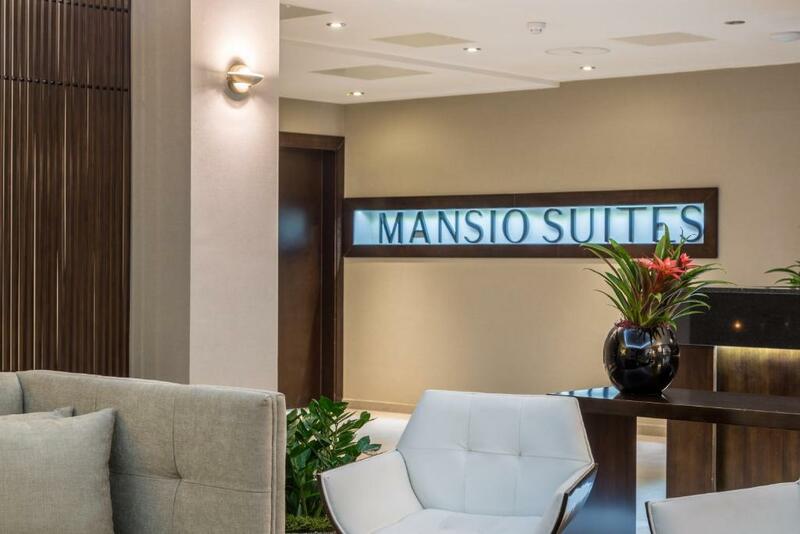 Mansio Suites The Headrow This rating is a reflection of how the property compares to the industry standard when it comes to price, facilities and services available. It's based on a self-evaluation by the property. Use this rating to help choose your stay! 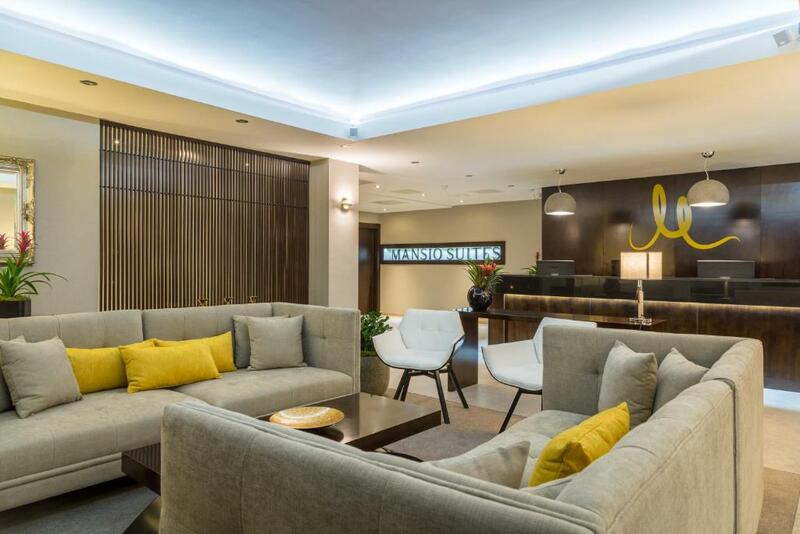 Mansio Suites is set in Leeds, 1,000 feet from 02 Academy. Leeds Town Hall is 1,000 feet away. Free WiFi is offered throughout the property. All units have a seating area. There is also a kitchenette, equipped with a dishwasher, oven and toaster. A refrigerator and stovetop are also available, as well as a coffee machine and a kettle. There is a private bathroom with a bath or shower in every unit. Towels and bed linen are provided. 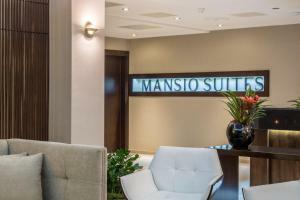 Trinity Leeds is 1,300 feet from Mansio Suites. The nearest airport is Leeds Bradford International Airport, 6.8 mi from Mansio Suites. This property also has one of the top-rated locations in Leeds! Guests are happier about it compared to other properties in the area. 뀐 Located in the real heart of Leeds, this property has an excellent location score of 9.3! When would you like to stay at Mansio Suites The Headrow? This studio has a toaster, tea/coffee maker and kitchenette. This apartment has a tile/marble floor, oven and seating area. This apartment has a tile/marble floor, soundproofing and tea/coffee maker. 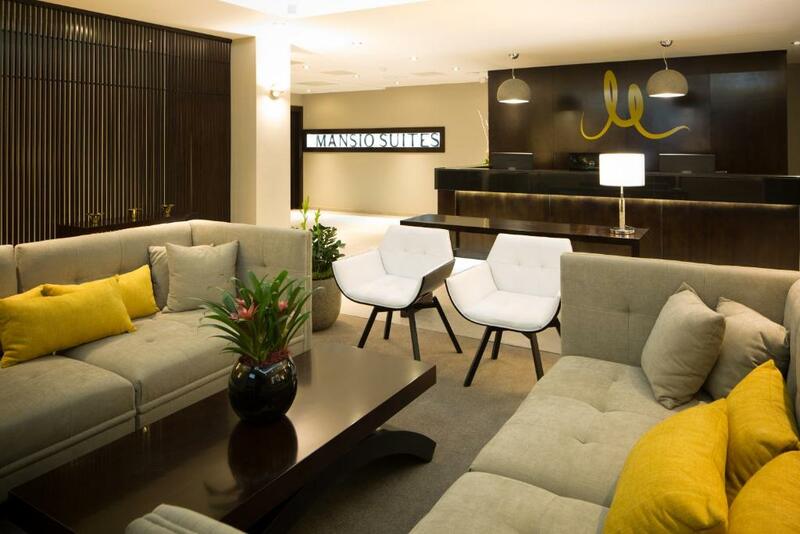 Welcome to Mansio Suites, luxury serviced city centre apartments. Whether your travels are for business or pleasure, long term or short, Mansio Suites is the place for you. 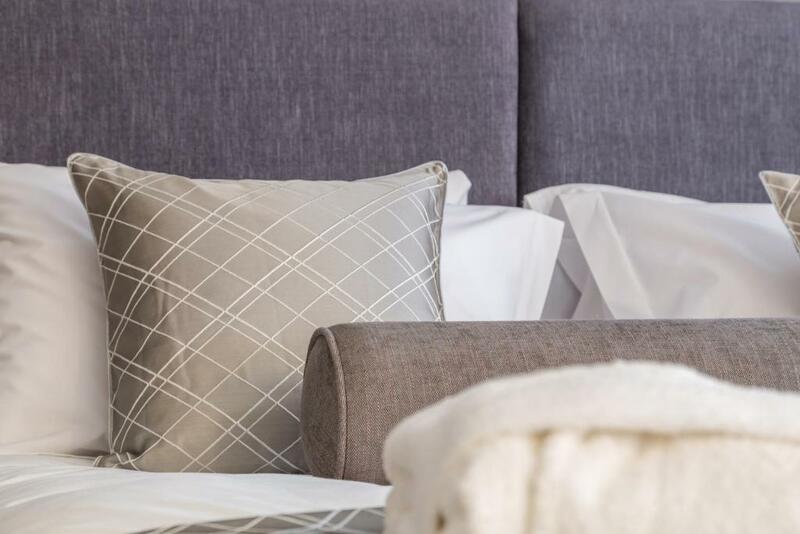 Providing our guests with a home away from home; we aim to make your stay a wonderful experience. 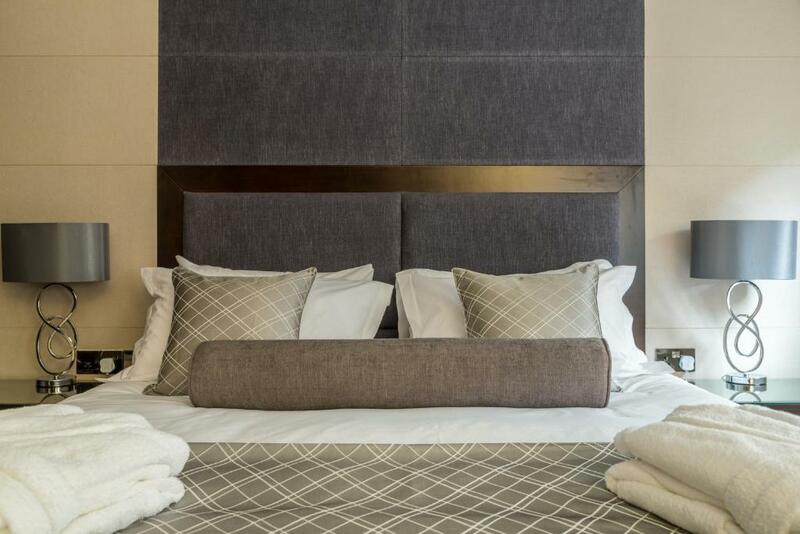 This recently renovated city centre building has been transformed into 26 luxury serviced apartments each boasting luxury bath robes and high quality linen, Molton Brown toiletries, 43” Smart TV’, welcome basket, tea and coffee facilities, Nespresso coffee machine, crockery and cutlery, serving dishes and cooking equipment, thermostat operated heating system, personal room safe, and direct dial telephone access. Explore the City’s historic sites and museums or take a stroll up The Headrow to the shopping district, the local area provides activities for everyone. Transport links within very easy reach, the train station is less than 10-minute walk away & so is the coach & bus station, with great transport links and road networks you can easily explore the beautiful Yorkshire countryside & attractions at ease. 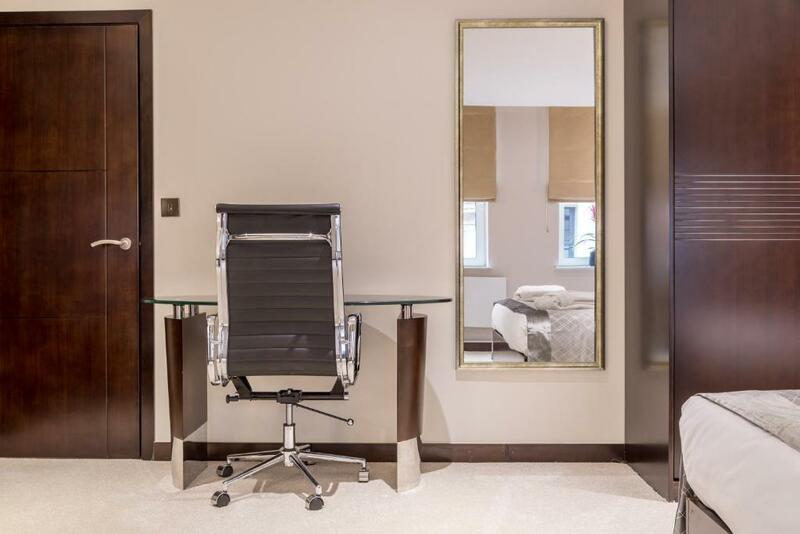 House Rules Mansio Suites The Headrow takes special requests – add in the next step! Mansio Suites The Headrow accepts these cards and reserves the right to temporarily hold an amount prior to arrival. Please note Mansio Suites is a nonsmoking property. Security Deposit: Please note that a deposit of GBP 200 must be paid by credit/debit card on arrival. This will be returned at check-out, subject to a damage inspection. 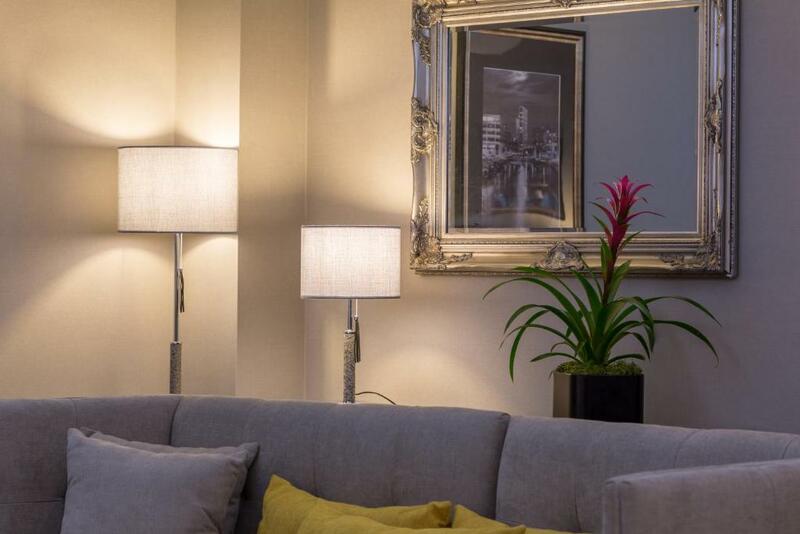 The property offers a 25% discount when parking at either Q-Park Albion Street or Q-Park The Light. Park as normal and then notify the aparthotel reception staff on arrival to receive a discount voucher. Please inform Mansio Suites The Headrow of your expected arrival time in advance. You can use the Special Requests box when booking, or contact the property directly using the contact details in your confirmation. The phone did not work and was not corrected. Check-in closes at 8, and a single flight of stairs to reception, so not "accessible"
Could have done with a microwave like what Room ZZZ have as standard. Great hotel reception staff friendly. The room was like a sauna and we couldn’t cool it down so, we had no sleep. The room had everything we needed in a perfect location. Hotel wasn't clean. The Wi-Fi wasnt usable the whole time we were there. There was no welcome pack as described on the website. We were left with unclean pots in our room from previous guests and the room was unbearably hot and loud. Couldn't contact reception as they left at 8. Not worth the money at all. The view outside the room was of offices that could see into your room so no privacy. Über and cabs can never find the property or access the main door. Sometimes they just drop you off and expect you to lug your bags through to the entrance. This a inconvenient if you have a lot of baggage. The carpet had not been hovered. Dropped a black sock and it was covered in white fluff when I picked it up, possibly from the Dyson fan. We were a little disappointed as last time we stayed the apartment was spotless. It was great friendly staff parking a bit of nightmare and expensive right near some good bars and restaurants.